Gdansk Photo Society (GTF) is a non-profit organisation, established in 1947 by group of outstanding art photographers. It aims to integrate photography fans, promote photography and local photographers and to educate anyone who wants to improve one’s skills and aesthetics. Nowadays it has over 60 members of various age and experience. There is a number of regular activities being organised by GTF: regular group and solo exhibitions, workshops, weekly meetings, photo-walks, contests. We are maintaining photo-archive with over 2,5k prints dated back to 1930s. Each registered member has got access to our own gallery, darkroom and club seat space available whole week. Regular meetings are held on Thursdays 18:00 hrs. Once a month (every first Thursday) there’s a photo contest organised “Photo of the month”. GTF cooperates with museums, NGO’s, public libraries and schools in a range of photography promotion, exhibitions and education. 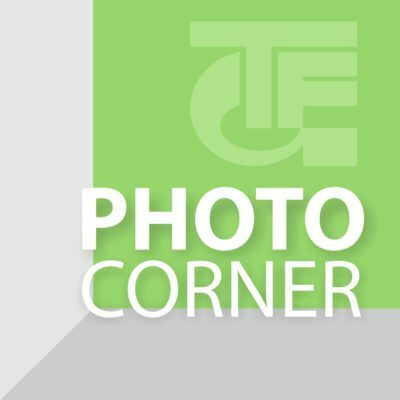 All society activities are financed by it’s members and by our sponsor, Energa S.A.
We are happy to invite you to join Photo Corner – English-speaking meetings, for all photography fans located in Tricity area. All photo freaks working and living in Gdansk, Sopot, Gdynia or other nearby locations are kindly welcome to share their passion, knowledge and opinions with others in a friendly environment. Photo Corner meetings start September 11th, 2017. Every second Monday of a month, at 18:00. All infos are available on Photo Corner facebook page. Location: GTF Gallery. Al Wojska Polskiego 8-10, Gdansk.